S 500 x 342px 0.5 Mb. XL 4500 x 3082px 15 Mb. 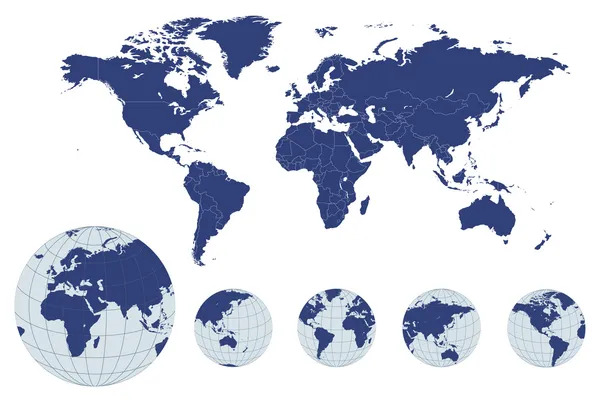 World map with earth globes, editable vector.